How’s the Coliseum, KL’s oldest cinema on Jalan Tuanku Abdul Rahman, still stands with Indian movies? Can a supernatural activity investigator afford a living from its business? Where do migrant workers (from Myanmar, for instance) go for a taste of home? To answer these mysterious questions, an editor of POSKOD.MY, Ling Low, is called to rediscover the diverse life of inhabitants in the city centre of Kuala Lumpur since 2012. On the surface of mega structures and projects around the city, there are hidden narratives waiting to be told from every each of the street, the buildings and traders. Every inhabitant has its own story and it gives a mere glimpse of what gives this city its sense of place to live and to seek for pocket money. Have you tasted the best bakso in Kampung Baru, Gerai Kak Muna? It’s a pool of savoury and the chilies paste indeed the Malay style kind of spicy that attack you out of nowhere. While eating you’ll realise the location is ‘confusing’ – are we in a kampung or Kuala Lumpur? Kampung Baru is a Malay enclave in central Kuala Lumpur, which its mishmash of kampong-style houses meets modern-skyscraper neighbours. Even as Kuala Lumpur is thriving, with its non-stop development and renewal, actually it’s a city with life of loss and sacrifices. Everyone migrated here seeking for jobs far from the north and south Malaysia including other nationalities. A Pakistani graduate, Suhar, went to Kuala Lumpur to support his family back home. He is a street trader whom often being underestimated, but has a Bachelor’s degree in Commerce. He sees Malaysia as the land of hope and opportunity – but he loves to be respected and acknowledged, which most Malaysians are lacking in. He has been abused by some officers which he believes from DBKL – either they take our pocket money or our basket. Then, there is a sad story of the end of 60 years’ photo shop business, Foto Pak Tai. The photo industry suffered the most due to digital compressor especially when Kodak merged with Minolta and decided to cease production of film negatives. Trust me, films are more important than the digital. Imagine when you keep your photos in hard disk, the moment you have a virus – they are all gone and wiped out within a split of seconds! 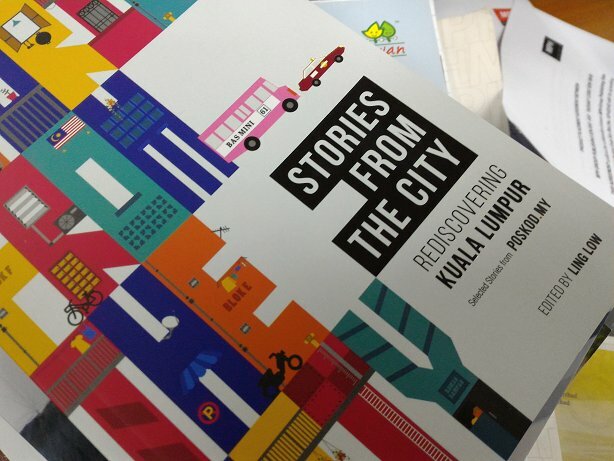 Stories from the City: Rediscovering Kuala Lumpur is available at all good bookstores with 148 pages of different urban narratives hidden from the mega structures – it’s worth of RM32.90. Former Managing Editor at IIUMToday, 2014 until 2016, and as the Corporate Communications at PETRONAS, 2017. Currently, served as the Airport Operations & Admin at Malaysia Airports Holdings Berhad.